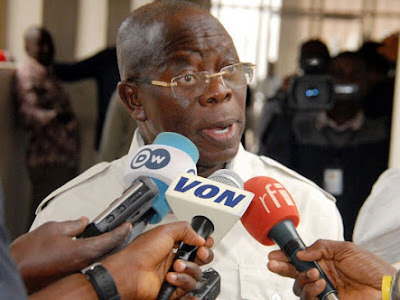 The Peoples Democratic Party (PDP) has cautioned the National Chairman of the All Progressives Congress (APC), Adams Oshiomhole, to halt his obsession to change the leadership of the Senate, as such is completely out of his reach. The party also advised Oshiomhole to stop his childish tantrums and get educated on the fact that the positions of the Senate President and that of Deputy Senate President do not belong to political parties but to Nigerians, who elect persons into the seats through their elected representatives in the Senate. 73 of the 109 senators”. “We know that Oshiomhole is under intense pressure from the Presidency to overheat the polity, distract the National Assembly members and make as much effort to cause a constitutional crisis in the country, having realised that they cannot win the 2019 general elections,” it said. PDP warned those it called desperate power grabbers to note that their actions have unlimited capacity to destroy the nation’s democracy. “Nigerians have noted that since his imposition as the factional Chairman of the APC, Mr. Oshiomhole has done nothing but spewing hate speeches and officially introducing a thug mentality into the polity, while causing confusion in every sector of our national life, including the Federal Executive Council, the security system, our legislature as well as in his dysfunctional APC, which as an undertaker, he is finally set to bury. “Since Oshiomhole assumed office, the nation has witnessed various unimaginable constitutional infractions, including the invasion of;Benue State House of Assembly and the Ekiti state Government House by APC-Controlled federal security agencies, the escalated harassment of federal legislators and persons perceived to be averse to APCs’ re-election bid; the siege at the residences of Senate President Bukola Saraki and Deputy Senate President Ike Ekweremadu by security agencies as well as the recent invasion of the National Assembly by security operatives,” it said.